Part I of this post discussed the concept of dominance hierarchies within the animal world and how it applied to human society. 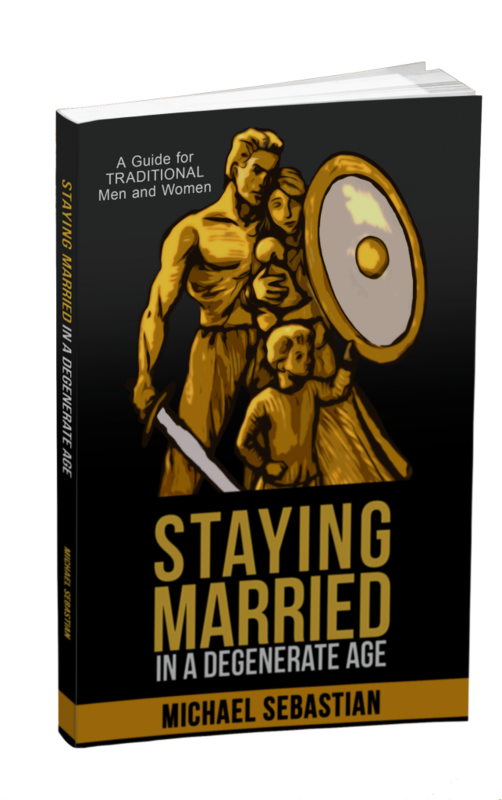 In this part, I give additional practical steps that you can take to become more alpha. Become a master networker. Unlike animal hierarchies that are almost completely determined by a male’s fighting prowess, a man’s place in human society is determined by lots of other factors. Probably the most important one is social skills. After the untimely death of conservative provocateur Andrew Breitbart, I was amazed at the number of who came forward after his death to write about how he had helped them in their careers. Breitbart was skilled at connecting talented people with each other. Andrew built others up. He expended more of his energy promoting others than he did promoting himself. He was willing to deal with the drama of other people so he could help them better themselves (myself included). He made himself available to nearly anyone who reached out to him, individuals from both the Left and Right sides of the political spectrum—whoever was willing to have true dialogue. He hated bullies and cherished his role as the defender of the weak and weary. He was all of these things to me and to thousands of others. The untimely passing of the great Andrew Breitbart has invoked moving tributes from the conservative movement. It seems like everyone has a story or a photo documenting their run-in with Hurricane Andrew. It’s a testament to how friendly and accessible he was to everyone. Breitbart was unquestionably an alpha male. It wasn’t because he was the best fighter or the wealthiest guy; it was primarily for his formidable social skills. Another example of awesome networking prowess is Bill Clinton. From the time he was a teenager, Clinton mixed freely with people and kept a meticulous list of information on these people. Later, these people became his connections that helped propel him to the presidency. People who have met Clinton later say that when he was talking to them, he made them feel like they were the only person in the room. He gives each person his undivided attention. Imitate Breitbart and Clinton. Become more social, but don’t do it in a selfish way. Be on the alert for ways that you can help people, and give them your undivided attention. By doing so, you will increase your personal power. Apart from Mastering Yourself and Optimizing Your Hormones, developing your face-to-face social skills is probably the most powerful thing you can do to move up in the social hierarchy. Get fit. If you are an older alpha male, you can rest on your laurels. You can put on a few pounds, and it is not going to affect your social standing. But if you are trying to move upward, it is imperative that you get fit. I used to work for a Fortune 100 company. One of the executive vice presidents was a man who had spent his life in the military before becoming an executive. When he made the switch to civilian life, he kept the disciplined fitness habits that he had acquired in the military. Every morning at 5:30AM, he was either in the pool, running, or cycling. Though he was in his early 60s, this executive had the body of an athlete. There was not an ounce of superfluous fat on his frame. Because of his fitness, he projected a different presence than the other executives. He stuck out even among those other alphas. You don’t have to have the body of an elite athlete to become an alpha, but it helps. If your body is a finely tuned instrument, you will feel it and behave accordingly. Both men and women notice when an extremely fit person walks into the room. Any improvement that you make to your fitness is going to pay dividends in your social status. Don’t complain. When you complain, you are making yourself more beta. When an alpha male is confronted with a difficult or uncomfortable situation, he takes the lead and tries to change it. If he is unable to change the situation, he suffers silently. Me: Hey Steve, how have you been? Steve: Oh, I’d be better if I could get enough sleep. Me: Sorry to hear that. Is something keeping you up? Steve: No, I just can’t fall asleep. In this situation, I didn’t need to know about his sleep problem. He was just volunteering information about a weakness to me. My friend is an intelligent, hardworking, decent guy, but he has developed a reputation of being a complainer. When he is not around, I even hear the women in the group making fun of him. Resolve to never complain again. Get rich and gain status. I’d be lying if I omitted the fact that wealth and status play a big role in human social hierarchies. In most groups, Prince Charles is going to be an alpha male. He was born as heir to the throne of England. He is one of the wealthiest men alive. It is hard to compete with that. We can’t eliminate the role of luck in our lives. However, plenty of wealthy men are low ranking betas, and lots of executives are betas who are just adept at sucking up and playing the corporate game. But if you are trying to become more alpha, you should definitely strive to increase your wealth and authority. The good news is that the very process of becoming more alpha will make it more likely that you do indeed become wealthier and gain authority. Read books about other alphas. You’ve probably heard the phrase, “why cluck with the chickens when you can soar with the eagles?” It’s true. If your friends are all low achievers, it will become more difficult to escape their orbit. But how do you start “soaring with the eagles” if you don’t know any personally? Some guys are lucky, and they meet a mentor who guides them. For the rest of us, the best option is to read biographies of great men. Don’t read for entertainment or pure historical interest. Read to learn which parts of their character made these men great and emulate these characteristics. Learn from their mistakes as well so that you do not have to repeat them. Reading the lives of great men in this manner is a shortcut to greatness. The basics. There are some things that every man should do all the time. Yes, these are very simple things, but they are indispensible if you want to be an alpha. I’ve been reading these two parts on alpha masculinity for two weeks now. You have expressed the concept of an alpha in the best way possible, without reducing it to just fornicating with random women. Came here from ROK. I’ve really enjoyed both parts of this post; no bs, to the point and easily achievable. Cleanly, succinctly put. The focus was entirely on personal responsibility and behavior, as it should be – no preoccupation with whether one was getting laid or not, making money or not, etc., but just a straight look into what really counts: a man’s character. Keep the Faith. Keep up the Fight. Good article, bro. Much needed in today’s climate.